As far as dads go, I'm you know, alright. I'd say I spend a lot of time with my kids, but there are certain times or routines that I don't experience every day. I was in charge of getting Paige in the tub yesterday. That's where I learned that there are several things that Traci must tell her repeatedly. We never, never, never do poops in the tub. Only poops in the potty. No poops in the tub. We always stay by my teacher. We never, never, never, run away. We never steal the ball. Yeah, Paige is that kid in tumbling class that gets up and runs around while the class is supposed to be sitting and listening. She's also the one who, while doing the little running games, stops and looks at the wall and says to the teacher, "W-A-R-R-I-O-R. What's that spell?" She's probably more mathlete than athlete. She gets that from her mom. I'm a regular Tiger Woods. Every Saturday afternoon (and somehow, always right after we've put Curtis down for a nap) our next door neighbor fires up his motorcycle, rattling our entire house. That's all fine and good, people have motorcycles. But I don't think the neighbor really likes riding it, he just likes starting it. He'll get it going, then turn it off. Get it going, and then maybe drive it around the block. Repeat, repeat, repeat. Makes me want to get a motorcycle. 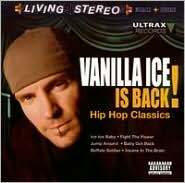 I promised I was done writing about Vanilla Ice, but then I ran into this album. Spoiler alert: It contains four versions of "Ice, Ice Baby." There may be a time in your life when you feel inclined to listen to hip hop hits from the time immediately predating gangsta rap. When this happens, it’d be nice to have just one place to turn to hear “Baby Got Back,” “Fight the Power,” and “Jump Around.” Well, that ultimate collection has finally arrived—the only problem is that it happens to be a covers album by Vanilla Ice. If Vanilla Ice wants to do an album of covers, that’s all fine and good. And it makes sense that he would want to pay tribute to artists who inspired him (EPMD, Public Enemy, The Gap Band) or even those who were his chronological contemporaries (Sir Mix a Lot, House of Pain). The problem is that the execution is so poor. While some tracks would fit in nicely during a live performance with his rock/rap band (“Jump Around,” “Insane in the Brain”), they are absolutely lifeless on record. Ice’s delivery is flat on every track, including an updated version of “Ice, Ice Baby” (which now credits Queen and David Bowie as song writers). There's nothing better than running into a great song that has been pushed into the back of the mental storage shed. Thanks to Best Week Ever for inadvertently reminding me of a song that would absolutely be on my Best Songs in the History of the World list. You'd think that getting paid (um, very little, but still...) to listen to music would be the best job ever. But I sure have to sift through a lot of junk to get the good stuff. This week was a crazy exception. Not only was everything I listened to good, but it was all stuff I'll actually put into regular iPod rotation and highly recommend. In 1997, The Prodigy’s “Fat of the Land” was hailed as the album that would finally bring techno to the U.S. masses. With the band’s rock feel and reverse-mohawked dancer Keith Flint, they had all the pieces in place for the takeover. But despite the album’s sheer awesomeness, The Prodigy hype didn’t last long. “Invaders Must Die” brings the band back from the dead. Producer/mastermind Liam Howlett goes straight for the jugular with this one, dishing up huge backbeats and piercing synths. Even without the whistles and glow sticks, this is a quintessential rave record. Absent from The Prodigy’s last release, Flint and emcee Maxim return to shout punky phrases throughout. Though their delivery on the hokey “Colours” is lacking, their performance on “Omen” and “Take Me to the Hospital” give the group the rebellious spirit it’s been missing lately. The album’s title track is its best and just gets better the louder you play it—the true sign of a great rock song. For fans of: Chemical Brothers, Does It Offend You, Yeah? 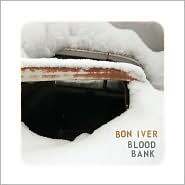 “Blood Bank” never moves much above a whisper. On “Babys,” Vernon’s falsetto quietly rises above the repeating piano chords and backing strings. The lyrics make little sense on their own (“Summer comes to multiply, to multiply”), but as the overdubbed also vocals multiply and multiply, the song manages to find plenty of meaning. The closing track, “Woods,” is the only song on the EP that would have seemed out of place on “For Emma.” Filled with layers AutoTuned vocals (which is a bit strange, what with every hip hop artist on the planet using the trick right now), the song sounds like Beach Boys being overtaken by indie music-loving robots. Which, in case you were wondering, is very cool. Eric Elbogen, the one man band who is Say Hi, writes and records all of his music at home in his Seattle apartment. This is noteworthy because the greatest thing about listening to Say Hi (or Say Hi to Your Mom, as the band was previously named) is that it instantly makes you want to go home and record your own album. “Oohs & Aahs,” Say Hi’s sixth album, is yet another collection of simple, heartfelt tunes driven by Elbogen’s sleepy vocals and ridiculously great lyrics. The album begins a picture of late night public radio (“On the dial somewhere between the high 80’s and low 90’s FM/Eloise plays the first Violent Femmes for those awake from twelve to 2 a.m.”) and ends with waiting for kiss that never comes. The instrumentation on the record is a bit broader than on previous releases. The guitar chord melodies find companionship with timpani drums and keyboard horn lines (“Ooh ooh ooh” and “Dramatic Irony”) and there’s even a little dancing to be had (One, Two…One”). The sullen numbers are still the best, however, with “November Was White, December Was Grey” at the top of the list. I want to write an album right now. Dan Deacon creates his ultra-spastic robo-music by harvesting the organs of old Commodore 64s and Ataris. The 8-bit bleeps and bloops, combined with vocals sped up to dog whistle pitch, don’t really lend themselves to radio play or mainstream attention. However, on “Bromst,” Deacon somehow finds a way not only to make these sounds palatable, but downright inviting. Sure, if you’re not a big fan of repeated noises, there are plenty of tracks here that will likely throw you into a seizing fit. But if you can hang on until track four, you’ll be treated to Deacon’s masterpiece. “Snookered” is eight minutes of awesome. What begins with gentle taps on a xylophone eventually morphs into a chaos of keyboards, vocal samples, and drums, all swirling together in a beautifully choreographed slam dance. Not every track is quite as rewarding, but the album certainly doesn’t lack for imagination. “Wet Wings” takes a tribal chant and turns it into a hypnotic drone, “Red F” is a straight forward synth dancer, and “Slow with Horns” illustrates what happens when a piano ingests speed. Congrats, Mr. Deacon on reigning in your craziness and making a great record. Life has been pretty busy lately. I've been doing a ton of freelance work, which is a good thing, but after writing at work and then writing at home, Manifesto-ing has taken a backseat. This isn't much of a big deal, other than I regret not writing down some of the funny things our kids have been doing lately. Overnight, Paige has gone from being our cute little monster to a cute little "big girl." I blame it on the new year. After 19 months of her absolutely hating nursery, we suddenly found ourselves walking her to primary--our little girl, now a Sunbeam. I haven't made too big a deal out of baby landmarks. It's great when they start crawling, it's awesome when they walk and talk. I've never thought of these as things to feel sad about it or to mourn the "growing up" of it all. But taking my little girl to nursery, that was a tough one. We were extremely nervous, especially given Paige's stranger shyness and hatred of all things church. Surprisingly, she went in without incident. Phew. But things have gotten better. Through bribery, trickery, and the fact that she really likes singing time, our the little big girl has now become a primary champion. Though she cries and tells us she doesn't want to go every week, once she gets there she has a good time. And then, for the duration of sacrament meeting--and several hours thereafter--she says, "I was so brrrave (nicely rolling the "r") at Primary today!" But last Sunday was the payoff. News to us, it was one of those days where the Primary kids go up and sing a song during sacrament meeting. "Oh, Paige, go up there," Traci said, both of momentarily forgetting she was one of those kids. Up she went. Because she's just miniature, they put her right in front, with her chin resting on the front railing of the stage. Of course, she didn't sing any of the words, she just stood there, grinning from ear to ear. And of course, there we were, waving like idiots from the back row. So very proud. When she came back, we told her she was brave. And then she told us. I am not, uh, how you say, "mechanically inclined." When car stuff has to happen, I turn to my brother-in-law, Todd. Yesterday he helped me fix a broken sideview mirror. Todd's a car dude. And all of his friends are car dudes. So when Todd needed a tool he didn't have, he called in backup. Strangely, Todd and his friend actually like fixing stuff. So when they easily fixed the mirror, they turned to the next thing--my hopelessly dirty front lights. Of course Todd has an electric buffer. Who doesn't? Todd's friend turned to me and said, "Now we're going to buff your headlights. But not in a gay sort of way." Ahh, you got my hopes up, just to dash them. This is easily the album I've been most looking forward to in probably the last two years. Any time I experience this much anticipation, I am scared to death to actually listen it, for fear my expectations will be dashed. 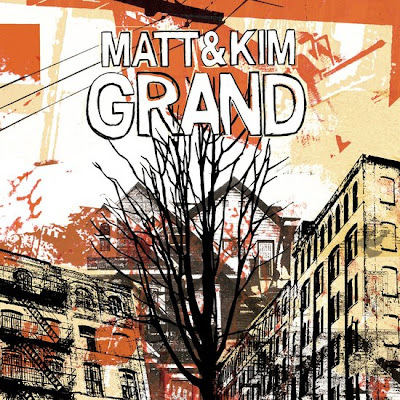 I was really worried about this Matt & Kim record because I loved their debut so much. Though "Grand" is not quite as good, it by no means a disappointment. Matt & Kim are easily the happiest couple in punk rock. Matt delightfully pounds away at his keyboard as he shouts snarky lyrics and Kim never stops grinning at him from the drum kit. “Grand” picks up where their 2006 debut left off, with the low end of the synthesizer buzzing away and the drums pushing the pace. However, the duo has also expanded their musical palette a bit. “Daylight” is the band’s most adventurous piece to date, adding symphonic hits and drum breaks to the simple piano riff. The string-driven “Good Ol’ Fashioned Nightmare” also shows another dimension to the band’s arranging abilities. Matt & Kim’s strongest suit is still the fast stuff. “Lessons Learned” is simultaneously totally punk and completely gorgeous, and the frenetic instrumental “Cinders” is enough to throw a person into a dance-induced seizure. It’s nice to see that Matt & Kim can grow up a bit without getting old. I've already complained about my mom not letting me go to my first concert until I was 14. (It ended up being Nine Inch Nails of all things. Great parenting, mom.) Now that I'm running the show, sooner or later I'll have decide when I'll allow my kids to do that stuff. Paige's second favorite band The Ting Tings is coming to town in a few weeks. Should I let her go? She's only three--but she's a pretty mature three. Since Traci won't go with me, I think it only makes sense to take the toddler who knows all the words to "Shut Up and Let Me Go." I have spent entirely too much time thinking about Vanilla Ice over the past few weeks. I did the interview, went to the show, wrote the review, and dreamed about him last night. Ugh. But before I allow myself to think about something else (probably the upcoming Boyz II Men concert in Wendover), here's just a few additional notes from the show. The show itself was only 'meh.' I think Vanilla Ice forgot it was supposed to be a '90s show. It would have been a lot cooler if all he did was come out and rap over a recording of "To The Extreme." Sure, it would have been even better if he would have done the Running Man, but that's probably too much to ask for. Because the place was empty and we had press passes, we were among just a handful of folks hanging out backstage at the end of the show. I talked to Vanilla for a second (he was as nice in person as he was on the phone) and Hammer was polite enough to pose while I took a picture of him with Rich and all his friends. We were in the "meet and greet" room at about 1:30 a.m. Right before the artists were scheduled to come in, one of the show folks said that those with just Media Passes (which is what we had) would have to leave because the All Access pass folks had paid to be there. One girl said she had paid $200 for the chance to meet Vanilla Ice. Why? The best get-ups of the night were the handful of skinny white kids who showed up wearing gold or silver glittery Hammer pants and no shirts. After being baffled by who was actually putting on the show, I found out it was a guy who I worked with at LoveSac--Sac Man. Yes, he worked as the LoveSac mascot. I got home around 2:15 a.m. Thus making it my latest night out in, I don't know, seven years? I'm going to bed now. Hopefully I won't have to dream about Vanilla Ice anymore and I got back to dreaming about being forced to go another mission, like I dream every Thursday after stake correlation meeting. MC Hammer and Vanilla Ice. Together again. The best part of the one-night-only event was not having any idea what was going to happen. Would it be great? Would it be awful? Would it matter? Rich’s excitement was palpable. This struck me as curious, seeing that he is only 26 (which would have made him seven when “Ice, Ice Baby” went #1). He had an explanation. “I remember playing kick the can or something on our street and hearing my friend say, ‘Slice like a ninja, cut like a razorblade.’ It was the coolest thing I had ever heard.”And that’s when he became a Vanilla Ice fan for life. I would guess the majority of the 8,000+ people in attendance (most of which were in the 18-22 range) were also trying to grab a hold of some sort of intangible nostalgia. Or maybe they were intrigued by the novelty of two one-time pop icons sharing the stage together for the first time in nearly two decades. Maybe they just wanted an excuse to wear neon t-shirts and makeshift Hammer pants. By the time Vanilla began his set, the crowd had already been waiting for three hours. The second Mr. Van Winkle entered the stage (through a 10-foot blowup Grim Reaper) and began spewing lyrics, the delay was immediately forgotten. Backed by a drummer, DJ, and a dancer dressed in a Santa Costume and clown mask, the Ice Man began his set one of his newer tracks. Enormous applause. He moved on to another new track. Applause. When he began the third new (a.k.a virtually unknown) song, the crowd’s goodwill had just about run out. For Vanilla Ice, this show wasn’t some grand comeback and it certainly wasn’t 1990. It was pretty much his average 2009 rock show, with loose interpretations of a few old songs thrown in. But he had a great time, the crowd had a great time and we all got to yell “Go ninja, go ninja, go ninja, GO!” together. What more could we ask for? Hammer’s approach was the complete opposite. It was tight and it was all business. The only piece of equipment on stage was his microphone; he and his posse needed the space to do what they do best—dance. Hammer’s still got the moves and, most importantly, the pants. The highlights were obvious: doing the “2 Legit” hand gestures, singing along to “You got to pray just to make it today” and watching Hammer do the typewriter with 200 fans shoved onto the stage with him. When it comes to performers, Hammer is the real deal. Was this a great show, musically? Heavens no. Was it one for the memory book? Hell yes.